This is the first time I’ve cooked something from Household Management, thinking, “I really hope this doesn’t kill somebody”. As I read through Mrs Beeton’s recipe for Almond Paste, something began to click in my head. ‘Is this like Marzipan,” I wondered. I’m not a huge fan of Marzipan, and I have to confess that I’ve never even though where it comes from or how it’s made. Not that I thought it grew on trees or anything, but I’d have been stumped if pressed to name its constituents. I looked it up on the internet and was amazed and abashed to discover that Marzipan is merely a combination of sweet and bitter almond, egg whites and sugar. Bitter almond scares me a little – in its natural state, it’s meant to be poisonous. 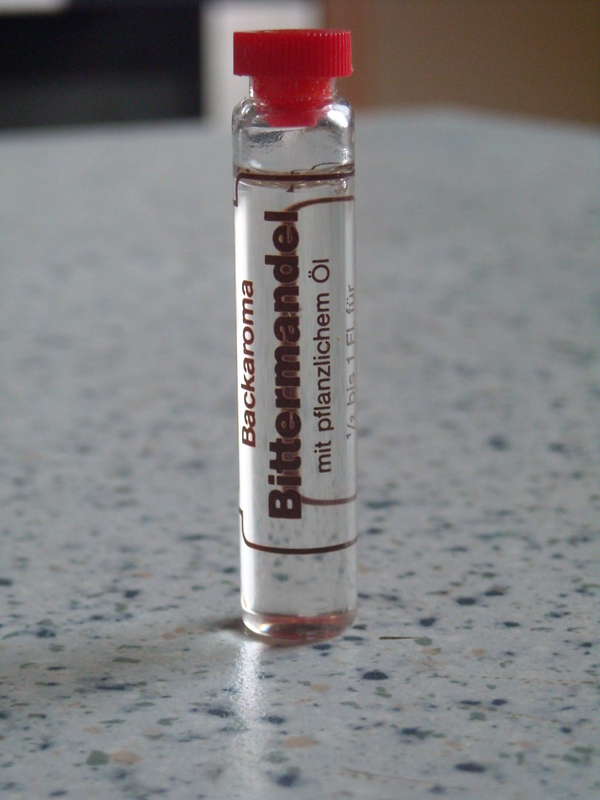 A friend recently gave me a small flask of bitter almond aroma, which I’ve occasionally looked at with a mixture of curiosity and trepidation. INGREDIENTS – 1 lb. of sweet almonds, 6 bitter ones, 1 lb. 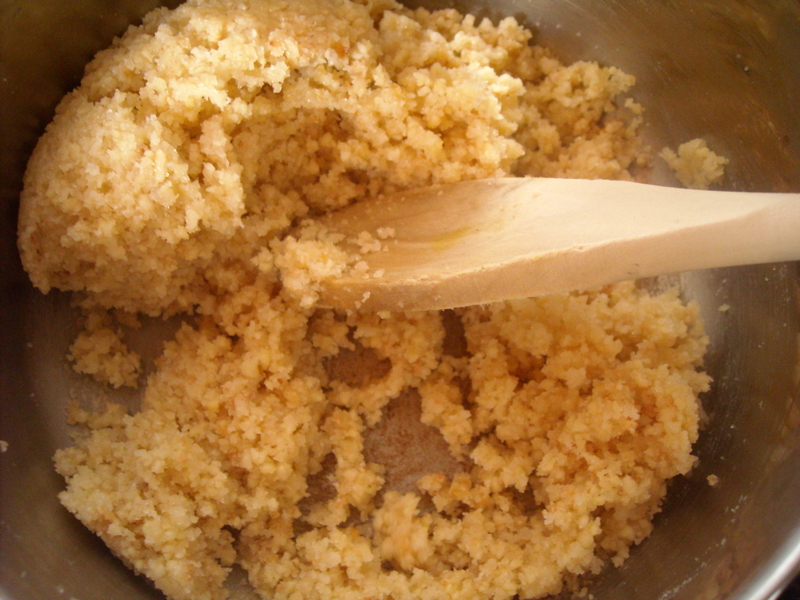 of very finely sifted sugar, the whites of 2 eggs. Great. Not only am I afraid of poisoning someone, but they might actually end up chomping on “traces of other shell fruits “. My youngest cat, Jack, got awfully exited at this point. He leapt on the bench with graceful glee and tried to stick his head in the bowl. I promptly removed him, only for him to leap up again and make a second desperate attempt to be at one with the mixture. 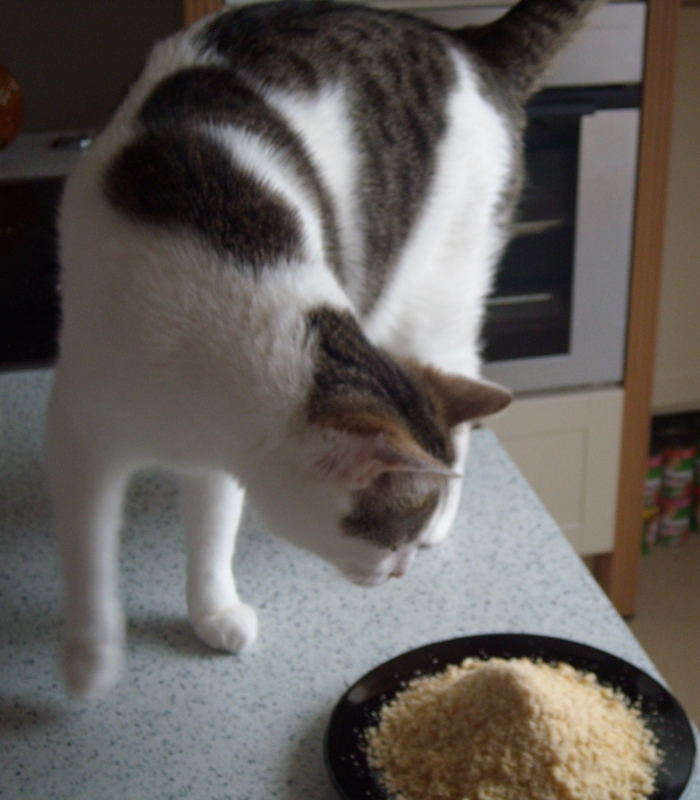 (He’s a fussy little thing but he loves treats, and I think he thought the packet of almonds was a pack of cat treats). I really wasn’t even sure how much bitter almond extract to use. On the back of the flask, it said “1/2 bis 1 Fl. für 500g Mehl” (1/2 – 1 Fl. per 500g of flour). The trouble was, I wasn’t entirely sure if Fl. stood for flasche (bottle, flask) or some other German measurement that I wasn’t familiar with. Given my concerns about using this stuff in the first place, I did a lot of googling to reassure myself that Fl. does indeed (I hope) stand for bottle / flask. Mrs Beeton’s recipe is, as so often, precise – but imprecise at the same time. 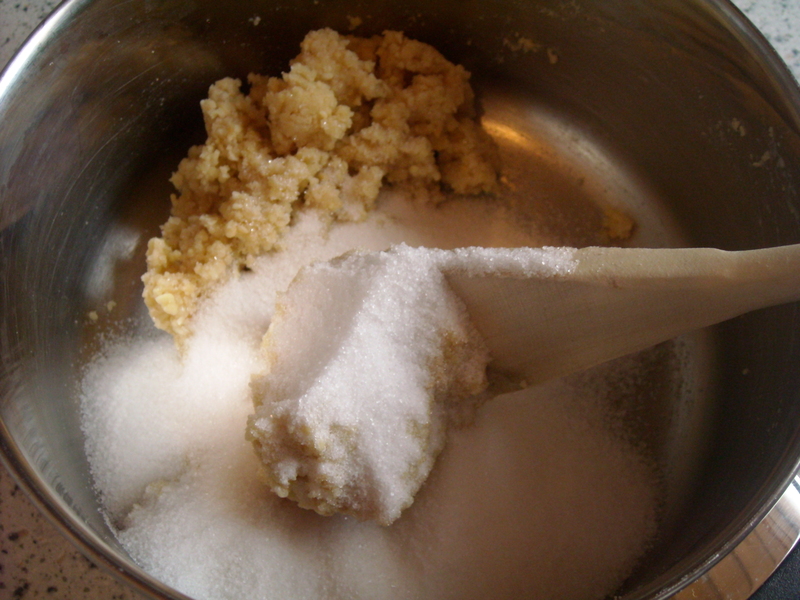 For example, is ‘finely sifted sugar’ our equivalent of icing sugar, or fine sugar? I used fine sugar in the end, giving it a thicker consistency that the Marzipan I’ve seen in shops, so I’m wondering now if I should have used icing sugar instead. The second thing is, is the sugar supposed to melt in the pan, or is it just meant to be combined until relatively dry? The problem is, the mix at the bottom of the pan began to brown almost immediately, allowing no possibility of leaving it on long enough for the sugar to reduce to liquid form (if that’s what’s meant to happen). After stirring for a good 10 minutes, I turned the heat off and left the pan to cool, as advised. But, when I returned to it a little later, there was no way that mix was going to allow itself to be made “into any shape that fancy may dictate”. It was a pile of crumbs. Crumbs! This entry was posted on May 1, 2010 at 9:52 am and is filed under food. You can follow any responses to this entry through the RSS 2.0 feed. You can leave a response, or trackback from your own site. the recipe of marzipan is based on almonds, egg white, sugar and „Rosenwasser“ (rose water). The taste of the marzipan is determined by the rose water, which is produced out of rose petals. In the marzipan recipes I found on the Internet there was no mentioning of bitter almond. 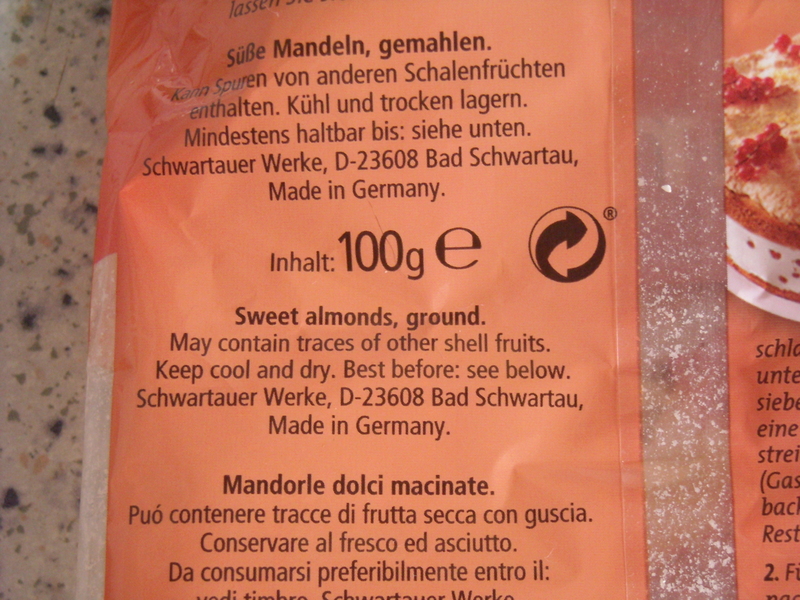 So no wonder that your Almond paste did not come close to marzipan. I hope it still made a good top of your cake. I guess there must be a few different variations. 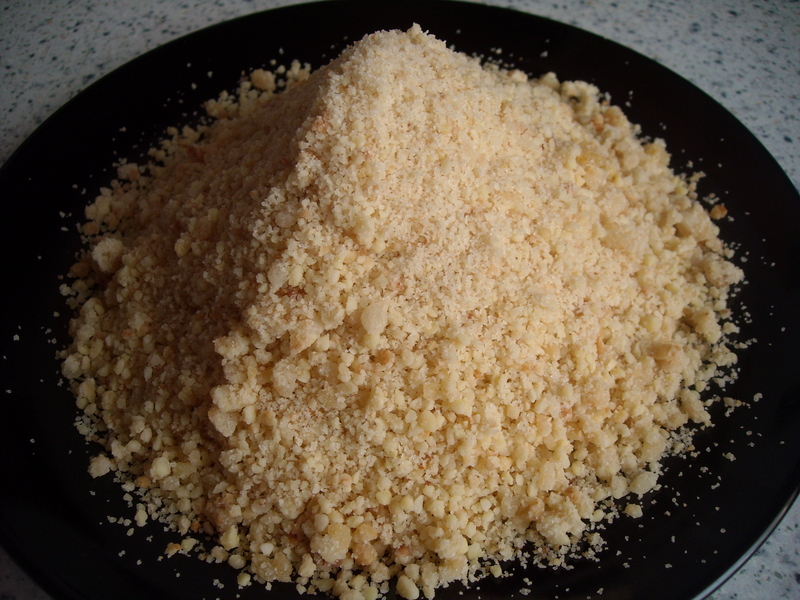 I’m going to try using my ‘Almond Paste Crumbs’ (as I call them) on a cake this weekend – hopefully it turns out well! Thanks a lot, I appreciate your feedback!